Buy Hoodies & Sweatshirts Online in Pakistan: Fleece Hoodies, Pullover & Zip Up Logo Hoodies for Men & Women! Winter is just around the corner and this is the best time to buy some stuff for the cooler weather. Fleece Hoodies have always been in fashion and adds in style in your wardrobe. Hoodies in Pakistan are available in a vast variety and are popular amongst both men and women however, nowadays, fleece hoodies and sweatshirts are also very common among children's winter wear. In addition to this, hoodies are available in casual and traditional forms along with different styles, features and materials. Pullover Hoodies: Those who want to avoid zips can choose the Pullover Hoodies in Pakistan. The best thing about these pullover hoodies for men is that you do not need to wear a shirt under it. 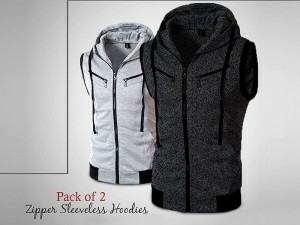 Moreover, many people find zips to be itchy and pullover hoodies eliminates this aspect also. A popular feature of pullover hoodies is that they have broader necklines and muff pockets. Broader necklines are preferred by those who care about their hair styling. Muff pockets are mostly tapered or deepened which allows safe storing of keys and other items. Also these hoodies are made with frontier-style pockets or sleeve pockets. As the name implies, zipper hoodies in Pakistan have a zipper in its center and is different from pullover hoodies. 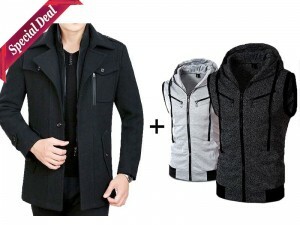 These types of hoodies for men are quite popular amongst those who are more into a fashion statement as they are quite stylish and fashionable. Muff pockets are also included in zipper hoodies and provide the same safety of keys and other items as is offered by pullover hoodies. Hoodies online shopping is the best way to buy hoodies online in Pakistan as it allow you to get trendy men’s hoodies which are not easily available everywhere. Usually hoodies are made from the material used in sweatshirts. However, fleece hoodies are popular among those who want them to be warmer. Mesh lining hoodies are popular among sportsperson along with windbreaker shells hoodies which are popular among hikers. The quality of these hoodies for men is that they can bear high altitudes. Hoodies are made from cotton, fleece and other blends. However, velour hoodies have gained much popularity these days. In addition to this, formal hoodies are made from other materials like spandex, leather and other blends of fabrics. Why are Fleece Hoodies so Popular? It is the very common question every-time popup in my mind. Let me try to explain it myself. Wearing custom hoodies or sweatshirts is something everyone enjoys especially the people who give importance to their style and look. It can be safely mention that custom logo hoodies in Pakistan are the most favorite fashion apparel of the winter season for all genders as it provides fashionable and stylish look to everyone anytime. Normally hoodies price in Pakistan are ranging from Rs.500 to Rs.2500 depends on quality, material and brand. At PakStyle.pk, there is a variety of plain hoodies and custom logo hoodies are available and you can order it in logo of your choice. Our range of custom logos include: Nike Logo Hoodies, Adidas Logo Hoodies, Puma Logo Hoodies, Reebok Logo Hoodies, FC Barcelona Logo Hoodies, Manchester United Logo Hoodies, Liverpool FC Logo Hoodies, Real Madrid Logo Hoodies, WWE Logo Hoodies, Batman Logo Hoodies, Ferrari Logo Hoodies, Porsche Logo Hoodies & a lot more. Whether you are looking for custom hoodies, plain hoodies or branded fleece hoodies in Pakistan, you just name it and we have it!